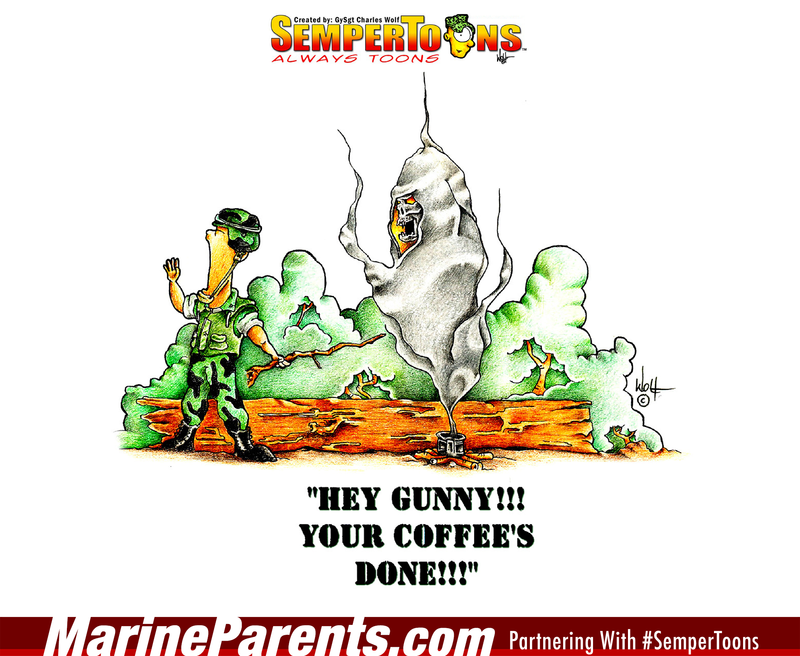 Gunny Wolf from SemperToons has created this cartoon that features a comical situation of one Marine shouting to another off-screen, "Hey Gunny! Your coffee's done! ", as a demon rises from the cup, signifying just how dark the coffee is. Shop Coffee's Done! SemperToons at the EGA Shop.